Business office hours are Monday-Friday 8a.m-5p.m. 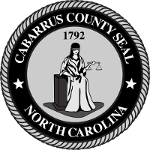 Cabarrus County follows the State of NC schedule for holiday closings. The County Manager or their designee can close or delay opening of County offices due to severe weather. These closings are broadcast via local media outlets, streamed on CabCoTV and posted on the county's social media sites.